The Commonwealth of Virginia has a population of more than 8 million. Virginia commercial real estate listings are spread throughout the state in cities including Fairfax, Virginia Beach and Prince William. The largest city in the state is Fairfax with an estimated population of 1,052,581. There are 11 metropolitan areas in Virginia. However, Northern Virginia, Hampton Roads and Richmond-Petersburg are the most populous and therefore will have the most commercial real estate listings overall. Fairfax County is another interesting region of Virginia as there is a great deal of retail space and office space in Tyson's Corner. The economy of Virginia is based on different industries including government, farming, and business. A lot of the industrial space and office space in Virginia is dedicated to technology. In fact, there are more technology workers in Virginia than any other state. About 24% of the land in Virginia is used for agriculture. The state's rural commercial land produces a variety of crops including tomatoes, soy, peanuts and hay. BRING YOUR BUSINESS IDEAS! CORNER LOT ON BUSY CLARKSVILLE STREET. The Building is zoned B!. Lot 481 & 482 Totals .48 Acre. Potential Building Lot. Main Street property has been well-established business for years. Tons of potential. Beautiful 4.77 acre water front property ready for you to build your dream home on Lake Anna. Great opportunity in heart of Great Bridge. Zoned OI so there are many options for use on this one! In Town Lot Minutes to Everything. 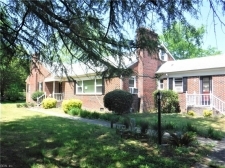 Larger In Town Lot Convenient to I-66. Bring Your House Plans! 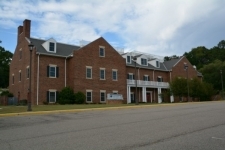 This property features an approximately 2,992 sq. ft. Grocery/Gas/Deli on 1.04 acres. Lakeside Shoppes is an approximately 9,000 sq. ft. Located in the City of Fredericksburg.